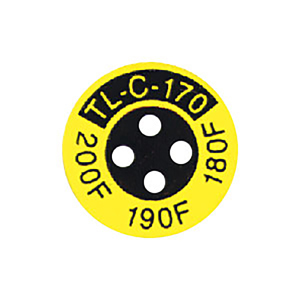 TL-C labels feature four temperature ratings in a single, compact round design, 9/16" in dia.. These labels are especially suited for use in areas with limited space. TL-C indicators are supplied 10 or 30 to a package. (pkg. 10) Temperature Range F° Model No.